Yes, it’s true. Color has a psychological effect on your mood. There is an actual area of study that focuses solely on this and it’s called color psychology. Simply defined it is the study of hues ‘as a determinant of human behavior’. Color can have both positive and negative effects on individuals. Some will elicit happiness, others anger, and still others depression. While there is no question that color can influence a person’s mood, there are a variety of factors that must be taken into consideration. For example, age, gender and culture all play a role in how a color is perceived by the individual. Some studies have shown that men find women more attractive when they are wearing the color red! Research also confirms that warm colors may invoke more of a tendency to make a spontaneous purchase! It is obvious that color psychology is complex, interesting and useful. But what does this have to do with exterior, interior and commercial painting? Well, a lot actually. After all, when you undertake a painting project the aim is to improve the overall presentation of a room, home or business. It could generally be accepted that the outcome should be one that fosters happiness and pride. So, more than a little thought should go into the colors you choose for any paint job. Remember that red and orange are stimulating. These are hues that must be used after much reflection and thought. Most often, they are not good color choices for the outside of a home or business, except perhaps as trim or accent. Even indoors, red and orange are powerful and should be used sparingly unless the aim of the room is to be stimulating. Meanwhile, the color white invokes visions of cleanliness and purity. It is overwhelming the choice of color for many business and home exteriors. It gives a feeling of sterility (austerity even to some extent), so it is hardly a color to give to a room where people and family gather. Ultimately, every color tends to evoke subtle emotions. Keep this in mind when you set out to improve your home’s appearance. Take some time and get comfortable with a color before you make it a permanent part of your residence or business. If you have questions about residential or commercial painting, please call the experts at University Painters, Inc. for answers. Your home is our business. Have you ever walked into someone’s house and thought, “That color is so 1970s?” It’s easy to tell the last time a home was painted based on the color palette. While some colors are timeless, there are definite trends in color families, hue, and tone. 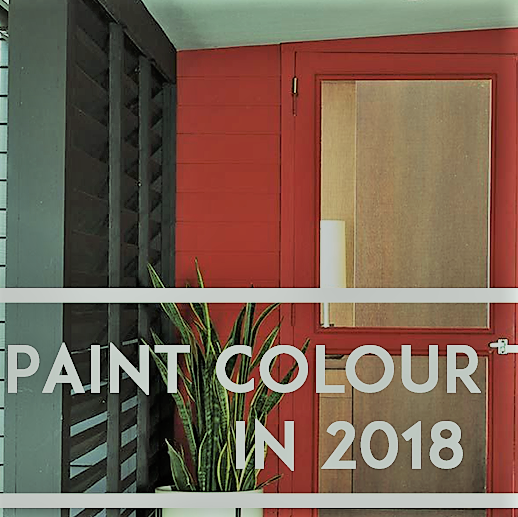 Read on for the hottest colors for 2018 and 2019. In House Beautiful’s May 2018 issue, the top five color trends for interiors were Sage, Gold, Ultra Violet, Crimson, and Teal. Bold colors are in, and it’s your chance to experiment. If you’ve never had anything except white walls, try something new. Select one, two, or more colors you’d like to try and paint a 2′ x 2′ area on the wall. Paint color often dries darker than it appears in the can. You’ll also want to see it at different times of the day. Trends for 2019 are a bit more subtle, but they’re still not typical. 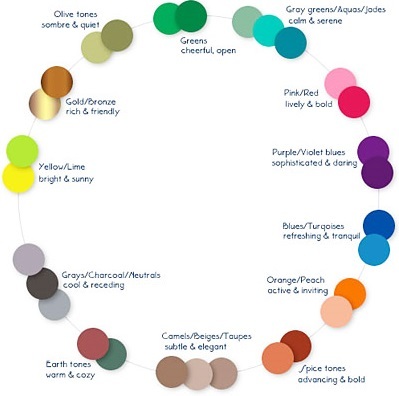 Hazelnut, Lilac, Gray, Dark Green, and pastels are at the top of the list for color choices. The choices you make will depend on the style of your home, the room’s purpose, and your personal taste. Color psychology is a great way to guide your choice. Colors in the red-orange family are warm and stimulate Purple your senses. While reds are associated with danger or caution, they convey power and energy. Orange is also energetic but in a lighter way than red. Yellow has a feeling of joy, brightness, and happiness. Children whose favorite color is yellow tend to be happier and more positive. Blue and green represent nature, freshness, and growth, but also stability and safety. Most shades of green are calming colors, good choices for bedrooms or the living room. The lighter the colors in this palette, the more soothing the effect. The color of royalty, purple has gained in popularity over the last few years. Purple represents wealth, luxury, and creativity. White is a timeless classic and ranges from bright white to eggshell. White symbolizes purity, goodness, and cleanliness. It’s an excellent neutral if your furnishings have busy patterns or bold colors. Be careful when choosing bright whites. Depending on the light source and lighting in your home, it can appear harsh. No matter what your color preferences are, the experts at University Painters can help you select the right color for you and apply it to perfection. Call us or go online for an appointment. has the ability to make a room appear larger or smaller. The right colors can make even the smallest rooms seem bright and airy. By pairing bright hues with contrasting darker shades, you can instantly add space to your room. White rooms are easy to work with because they look good with any accent color. You can pair it with dark and dramatic colors. You can paint a white accent wall without making your room look tiny. Don’t be afraid to experiment with color. Try a black-and-white checkerboard wall. Paint coral and turquoise for that touch of beach flavor or paint an entire wall fire-engine red or cobalt blue. As long as the other three walls are bright white, your room will look large and spacious. Yellow and orange are great additions to small rooms. The best shades to use are soft yellow, pale yellow, butter, lemon, or banana. When it comes to orange, use sherbet or pastel orange. It’s better to use these colors with dark tones if your room is narrow. Paint your wall with vertical stripes. 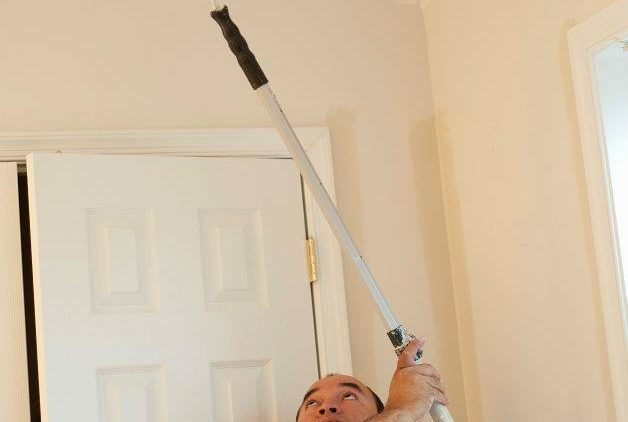 This will create the illusion of a longer room. Add some fun color elements with lime green and sorbet orange. This next idea is great for a children’s bedroom. Sea foam green, light blues, and soft greens are relaxing colors that enlarge your space. Plus, you can mix them with reds, corals, blues, whites, and other colors. Paint your accent wall emerald green or forest green for that pop of color. Blue is another color that helps widen a room. It looks great with white walls and light carpeting. Keep your window treatments and trimmings white to add more space to an already small room. Pastel colors aren’t reserved for spring and kids. These hues can make any space appear bigger. Use touches of lavender, lilac, soft pink, baby blue, mint green, and peach. Break up the colors by painting your walls beige, tan, or cream. Paint your door and window frames in similar neutral tones. Add accents to your room with darker shades in the same spectrum. Some fashionable accents include rugs, blankets, and throw pillows. That’s not all. Use plenty of natural light and mirrors to help open up the space in your room. Don’t want to do yourself? University Painters have years of expertise when it comes to interior painting. Call us today to add a fresh coat of paint to a space in your home. Are you redecorating or looking to freshen up a space in your home? Are you looking for the right paint color to boost your mood? Choosing the right color can be a challenge, especially when you want different shades in different rooms. You don’t want your home to be the same color throughout. The bedroom, for example, should be a calming and relaxing oasis where you get away from it all. Meanwhile, the dining room should make you feel alive and social. Sometimes white and off-white doesn’t always cut it. Try out some of these colors to improve your mood. Blue is a popular shade because it’s so calming and relaxing. It helps devoted yogis to stay centered and focused. Blue can lower your blood pressure, clear your mind, and help steady your breathing. It’s perfect to use in a room where you meditate, lounge and rest, or practice yoga often. Believe it or not, white is a tried and true color. Some people are afraid to paint their walls white because it can attract dust and dirt. Painting your home white will make it look more open and inviting. While it’s not a calm or relaxing color, white can make you feel happy and clean. 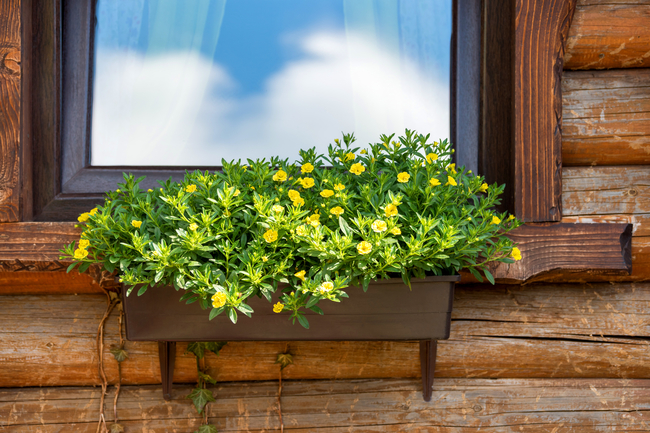 Liven up your home with bright sunny yellow. Nothing is more joyful than walking into a yellow kitchen early in the morning. Most people are drawn to yellow because it represents the sun’s rays. Use it in rooms where you entertain your family and friends such as the breakfast room, kitchen, or sun room. However, if you have severe anxiety, you may want to choose a softer hue. This color is perfect for your office as it can reduce anxiety and promote prosperity. When most people think of green, they think of emerald green or bright green. This shade comes in relaxing hues that’s gentler on your eyes and is known to be calming and soothing. For those who love the great outdoors but live in the city, they may choose to use blue-green or forest green. You can use red as an accent color or all over your walls. Some people find red too loud in large amounts. Use a softer shade in a room where you and your family frequent the most. It’s a perfect color for socializing with your friends and family, especially around the holiday season. Need a fresh coat of paint in your home? Contact University Painters today to find out about our interior painting services. We can bring new life and help improve your mood. Call our estimators to get a quote on your next interior painting project. Choosing the right paint color isn’t always a fun process. You can make it easier when you know exactly what you’re looking for. Deciding on the right paint color takes a little research, but it’ll make your interior painting project a whole lot easier. You’ll probably end up with a few different color shades that you want to use. Here are some tips for choosing the right paint color that will help you avoid making a costly mistake. Colors can affect job productivity. It’s time for an office makeover if your office walls are painted dull gray, the cold color commonly used in cubicles and concrete. A recent study conducted by researchers from the University of Texas found that gray, white and beige offices can induce feelings of sadness and depression in women. Men, on the other hand, experience gloomy feelings in orange and purple workplaces. The study shows that colors can profoundly impact people’s productivity. This means that offices and workplaces need to be painted and decorated with vibrant and stimulating hues to boost output and spark creativity. What Colors Can Help Improve Productivity In Your Office? Low-wavelength colors, such as calming blue and restful green, improve efficiency and focus. They can also lend a sense of well-being. Paint your office with green and blue if you want happier and more effective workers. For workplaces where people do creative thinking all day, color psychologists recommend painting the office with blue and spicing it up with a bit of orange to introduce some emotion into the room. The color red, a high-wavelength color, is a passion-inspiring hue. This active and intense color, widely used during Valentine’s Day and on fire trucks, can increase heart rate and blood flow. The red hue also stimulates physically. Use this color if you want your employees to be more productive in doing physical tasks. Mellow yellow is often considered by color psychologists as the shade of optimism. This energetic and fresh color is believed to trigger innovation. It is best used in work environments where creative professionals, such as designers, artists and writers work. To determine the color that best suits your workplace, narrow down which main color or color combinations will work best in your situation. If you employ people who are hired to do manual labor, such as building houses, you would want something red rather than blue. If your company employs artists, you can have the workplace painted primarily in yellow to inspire creativity in your workers. Hire a professional to do the painting job at your office. 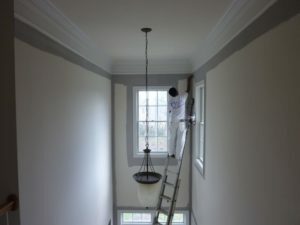 University Painters has years of experience painting offices, commercial buildings and houses. Contact us now to get a free estimate. 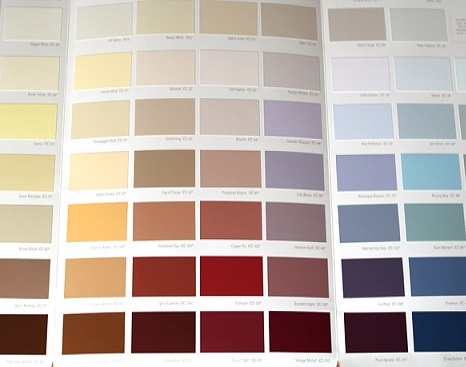 It isn’t a good idea to choose a paint color simply because it is your favorite hue. Consider all the elements in a room or your house when choosing a paint color. You do not want a paint color that clashes with your couch or favorite painting. Blue is a soothing color that can calm your mind and reduce tension. It is frequently used in bedrooms because it helps people sleep. When choosing shades of blue, go for those that are soft, neutral and restful. Violet stems from the color blue. The right kind of violet can bring inner peace and balance on your soul. Steer away from hues that have too much black in them though because these shades tend to create a cold environment. Pink also calms and brings peace into a room. Feng Shui believers even use this color for soothing energy in a room. Pink may be considered a feminine color, which is why it is best used in girls’ rooms but the right tone can look beautiful in any room. Green is a symbol of nature. The color is also very visually soothing, which can help produce a feeling of freshness and calm. People find themselves more relaxed in places where they are surrounded by the colors of nature. You can bring this feeling inside your home by painting your rooms and walls with nature’s colors. Gray may seem dull and boring for some people but this color can actually provide a soothing and cooling presence. It is also a neutral color so it easily works with most furnishings. It can be used in a variety of rooms including the living room, kitchen, home office and bedroom. 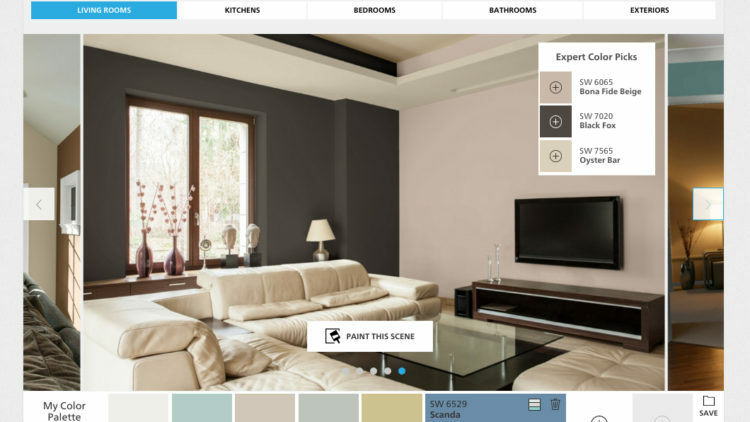 Getting the right colors for your home can help alleviate stress after a busy day at work. 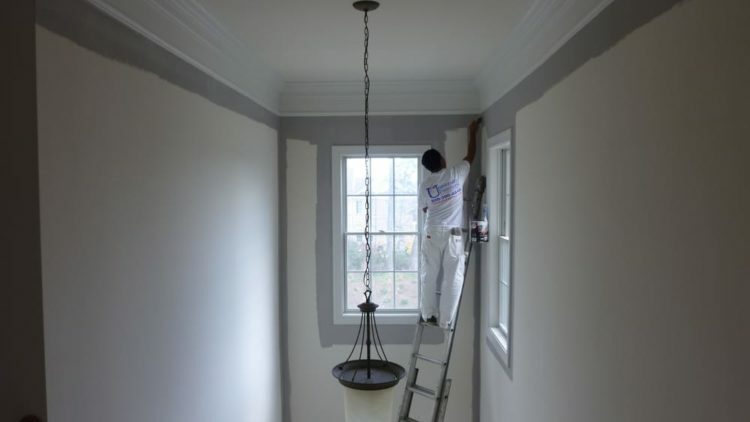 If you consider repainting your home for new colors that can help you relax, choose a painting service contractor with years of experience in the industry. 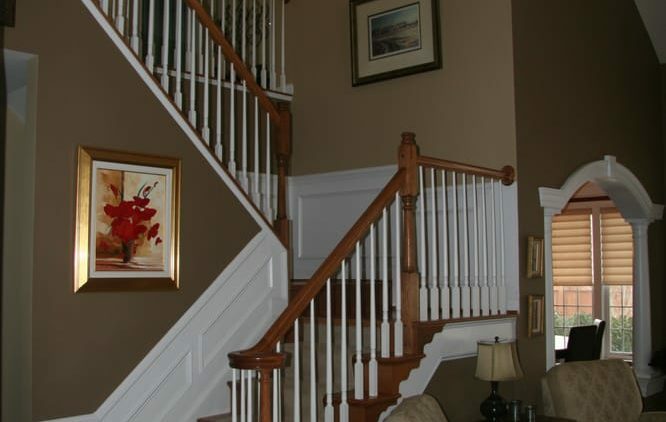 University Painters has been providing painting services for houses and condominiums since 1986. Feel free to contact us for a free estimate of the painting job you have in mind. It was thought that houses sell better with neutral colors such as eggshell, white and taupe. Findings of a new study, however, revealed that you may want to be a little bolder when it comes to selecting paint colors. Real estate site Zillow.com analyzed more than 32,000 images of sold homes and found that those with the shades of powder blue and periwinkle, particularly in the bathroom, sold for $5,440 more on average. Homes with white or off-white bathrooms, on the other hand, sold for about $4,035 less. Blue hues also appear to increase home value in other rooms. Homes with dining rooms painted in blue-gray, slate blue and navy blue paired with distressed white shiplap finishes were sold for nearly $2,000 more on average while those with red-painted dining rooms sold for $2,031 less on average. Homes with blue gray and soft gray blue tones in the kitchen sold for around $1,800 more while those with yellow hues like straw yellow and marigold sold for $820 less on average. Homes with blue bedrooms sold for $1,856 more on average while those with pink, which is often found in kids’ rooms, sold for $208 less on average. Homes with a brown living room sold for $1,809 more on average while those with blue sold for $820 less on average. Exterior colors also matter. Those with exterior colors of gray and brown sold for $1,526 more on average while those with brown exteriors sold for $1,970 less on average. Painting the house or a room or two is considered one of the quickest and most cost-effective ways home sellers can make their property more sellable. 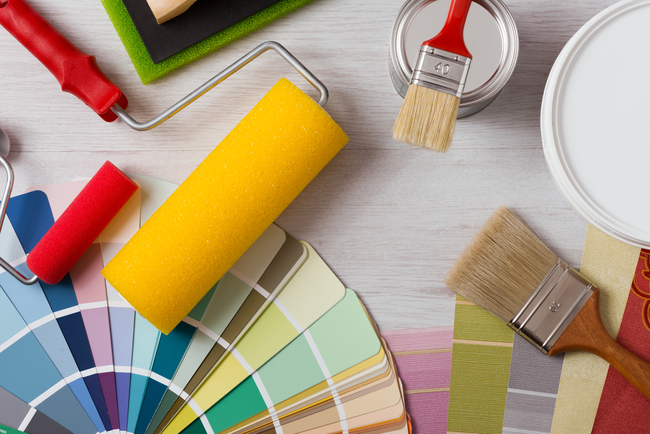 If you’re planning on selling your home, you may want to consider making some color changes in a few rooms so the property becomes more appealing to prospective buyers. University Painters can provide you with professional painting services that can help boost the value of your home. We have been painting homes, offices and condominiums since 1990 and we can guarantee you quality services. We will be happy to assist you in giving your home a color makeover.